Shadowhunters! 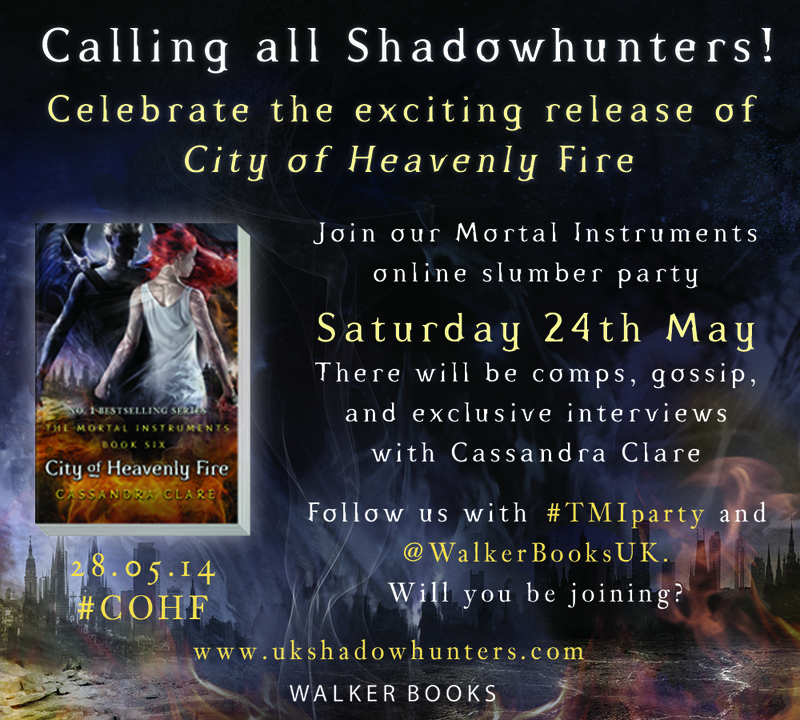 Don’t forget that Walker Books is hosting a TMI Party on Saturday evening to celebrate the release of City of Heavenly Fire next week. Get ready for an online slumber party! What is Cassie’s perfect night in?